What is the Events Feed Plugin? 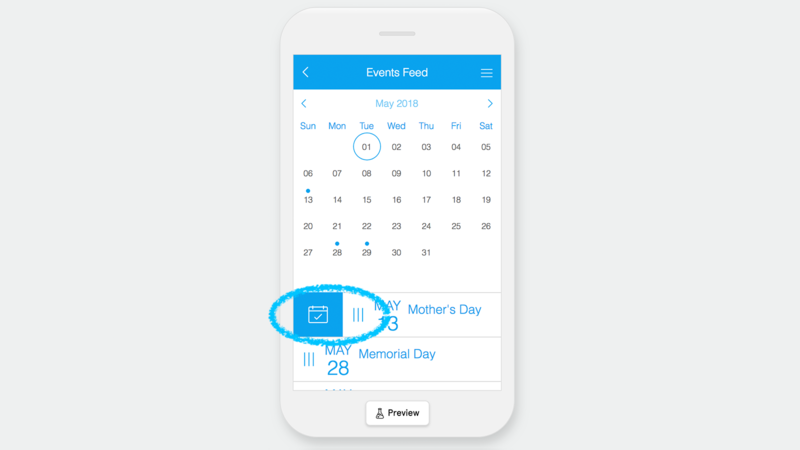 The Events Feed feature makes it easy for you to showcase upcoming events and keep your audience informed about them by seamlessly integrating your iCal feed. What are some use cases of Events Feed? Internal/Employee Apps: keep your employees up to date with company events, schedules, and deadlines. School Apps: keep your parents and students informed about class schedules, school holidays, events, and meetings. Community Apps: keep your community members informed about special events, meetings, and initiatives. Church Apps: engage your congregation by keeping them up to date with services, classes, Bible studies, outreach activities, and home groups. What is the Events Feed’s primary functions and what are the steps to accomplish them? 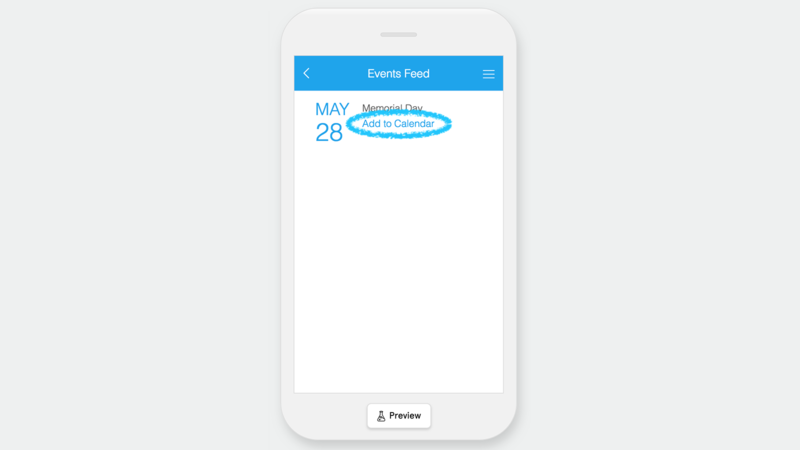 The Events Feed's primary focus is to streamline adding events into your app. Read on to see what some of the core features are and how to set them up. Note: If you can’t find your .ics file or if your program doesn’t provide one, you can use a program such as iCal Exchange to generate one. As we mentioned, iCal is an industry standard calendar feed and, therefore, the vast majority of calendars will provide you with one. If you're having trouble with your iCal feed, it’s best to run it through an iCal feed validator like this one (click here) to make sure you are using a valid feed. This is a great opportunity to showcase and reinforce your branding. If you include a top image, it will appear at the very top of each of your events. In order for the Events Feed plugin to pull in the events from your calendar, you will need to be sure that the iCal feed is publicly accessible. Otherwise, your calendar will block its data from being pushed out and, therefore, this feature will not be able to sync it. Using Folders is a great way to showcase multiple calendars in your app. 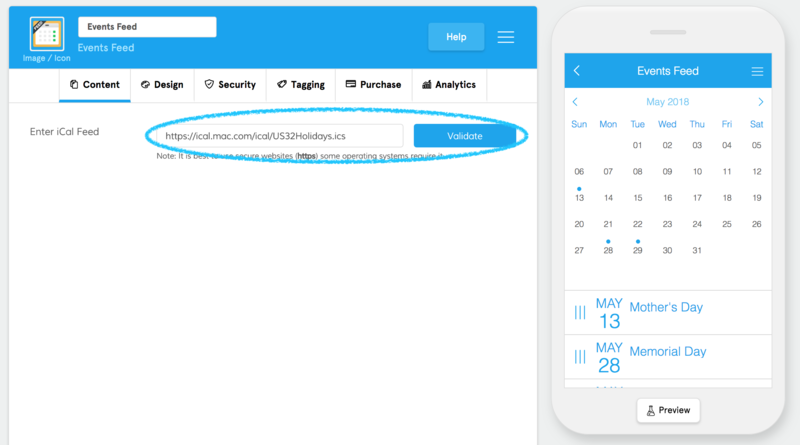 For example, you could have a Holiday Schedule, Deadlines, and Department Meetings as separate calendars making it easy for your users to find the types of events you want.